Santorini is one of the most popular Greek Islands, a really popular travel destination that is enjoyed by thousands every single month. It is so recognizable, with multi-colored cliffs coming out of the sea, all topped by whitewashed buildings. The panoramas in Santorini are well-known and the Santorini holiday villas are simply perfect for those looking for a wonderful travel experience. It is so simple to understand why this Greek destination ranks high on the bucket lists of travelers from all around the world. The island of Santorini welcomes over 1.5 million tourists every single year. If you want to be one of them, there are some things that you should know. This will help you to better plan the vacation and have a lot more fun or many more memorable experiences. 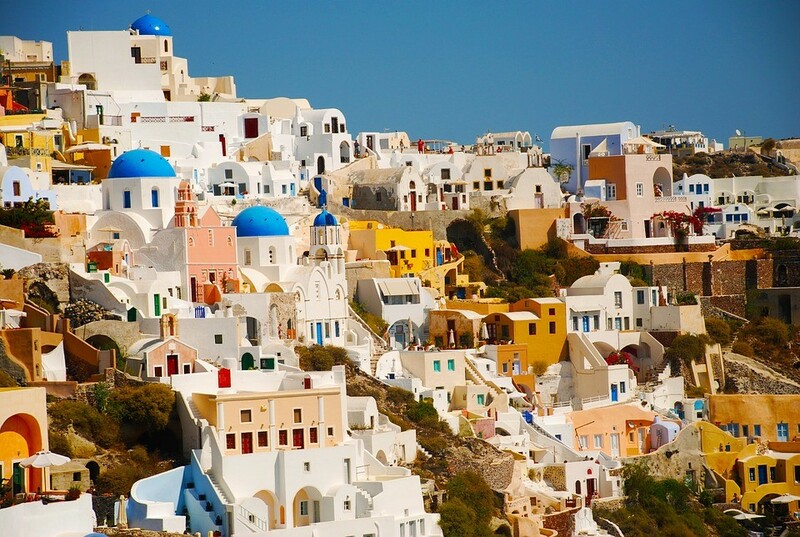 Santorini, officially named Thira, is included in the Cyclades group of islands. It sits right in the Aegean Sea, at around the halfway point between Crete and Athens. This island has the shape of a croissant, with geological areas around it hinting at the fact that it was once of a circular shape. Many, many years ago there was an eruption that made the center of the island sink, leading to the current presence of a crater. This is what created the trademark landscape of Santorini, the one you see in pictures. 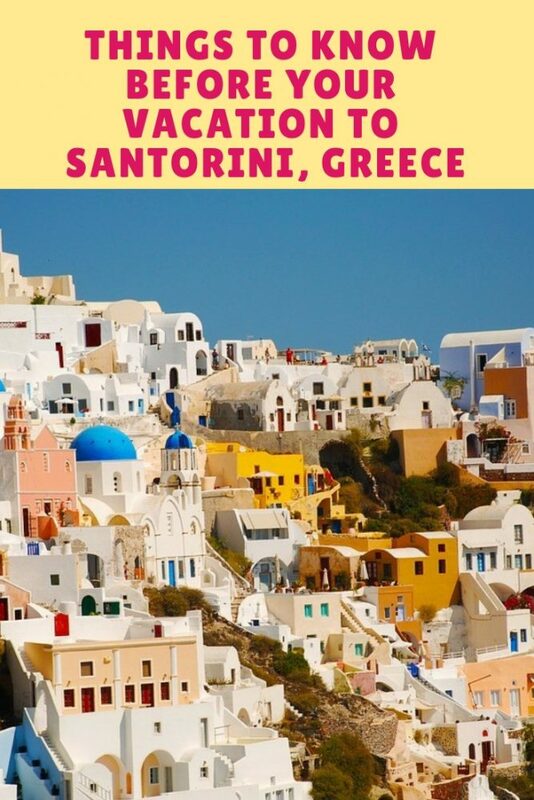 What Can You Do In Santorini? Walks – Santorini is the kind of travel destination where even something as simple as walking is a treat. You want to walk caldera edge and simply admire all the panoramic views. Make sure that you consider walking around Fira, especially moving towards Imerovigli and Firostefani. Just keep walking and you will get to Oia. Just be sure that you prepare since the trail is a little tough. You walk for around 9 kilometers if you want to enjoy it in its entirety. See Historical Sites – You can see the site of an old Minoan city that was destroyed in 1613 BC by a volcanic eruption in Akrotiri and Fira features the Museum of Prehistoric Thera, which offers visuals of ancient Akrotiri. Wine Tasting – The wines in Santorini are renowned around the world, especially when thinking about Vinsanto and dry whites. Assyrtiko is the name of the indigenous grape responsible for this worldwide respect among wine lovers. Many vineyards now offer tasting sessions where you can combine sightseeing with experiencing local produce. Swimming – Many hotels have pools but you surely want to consider the larger area of water all around the island. You can also consider a caldera cruise or can just go to one of the black sand beaches of Santorini. Watch Sunsets – The natural beauty of Santorini is simply stunning. It is so stunning that even watching the sunset can be an incredible memory. Make sure that you consider Oia if you want to enjoy the best sunset. 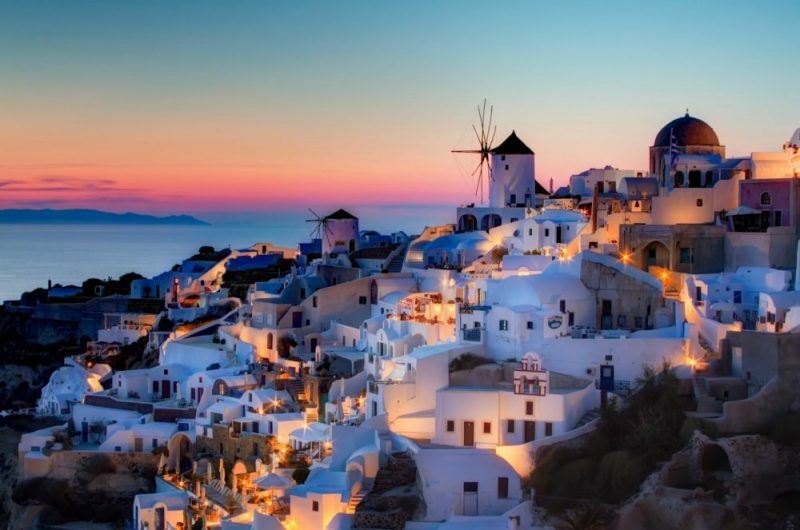 Tours – Because of the fact that tourism is highly-developed in Santorini, you can find dozens of tours that are perfect, according to what you want from such an experience. Numerous agencies help with archaeology tours, winery visits and there are even tours that are focused on sunset-watching. The one option that is usually really popular is the cruise. Some classic itineraries exist, with the most popular one taking you towards Palia Kameni and Nea Kameni. Where Should You Stay In Santorini? When budget is not a problem, it is a really good idea to stay on caldera edge since this gives you the WOW factor that you see in all pictures of Santorini. You can always go for a rental villa or a five-star hotel. The areas where villas and hotels with whitewashed interiors, infinity pools and terraces are present are Oia, Fira, Firostefani and Imerovigli. Unfortunately, if you are budget-conscious, you do not have many view-blessed locations to consider. Accommodation in caldera comes at a premium cost and the demand is really high. Midrange options can be found in Firostefani and Fira, being placed away from top front-row views. If budget is highly limited, you can go for campgrounds and hostels. The best ones are located on Fira’s outskirts. Those interested in beach activities and relaxation should consider Kamari and Perissa. These locations are normally those that do not feature too much crowd while managing to offer prices that are much more reasonable. Obviously, this is up to you but the peak time in Santorini for tourists ranges between July and August. This is where hotels and prices in general are much higher than the rest of the year. Basically, this is when beaches and viewpoints are simply packed with eager tourists. There is also a shoulder-season, which is during April, May, October, late September and early June. These are still good months to visit. The atmosphere is quieter, which is especially the case when looking at the east coast of Santorini, an area that is known for plentiful bargain accommodations. While some do discount the winter break, do be aware of the fact that scenery is still incredible. Many do not know this but Santorini does offer great weather throughout the year. If you choose a winter vacation, crowds will be scarcer, prices will be lower, but the experience will still be wonderful.